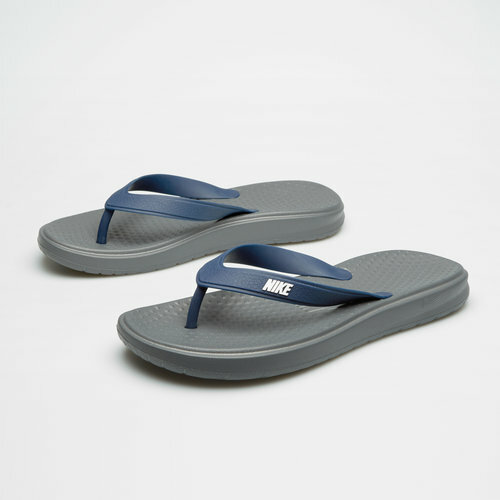 Ensuring you get comfort all day long, whether you're on the beach on wearing them casually, slip on these Nike Solay Thong Flip Flops in Dark Grey, White and Midnight Navy. These Nike flip flops have been designed with a textured footbed and a plush foam sole that provides day-long comfort. With thin rubber straps running over the top of the foot, wavy flex grooves underneath allow natural movement and enhance traction on wet surfaces.